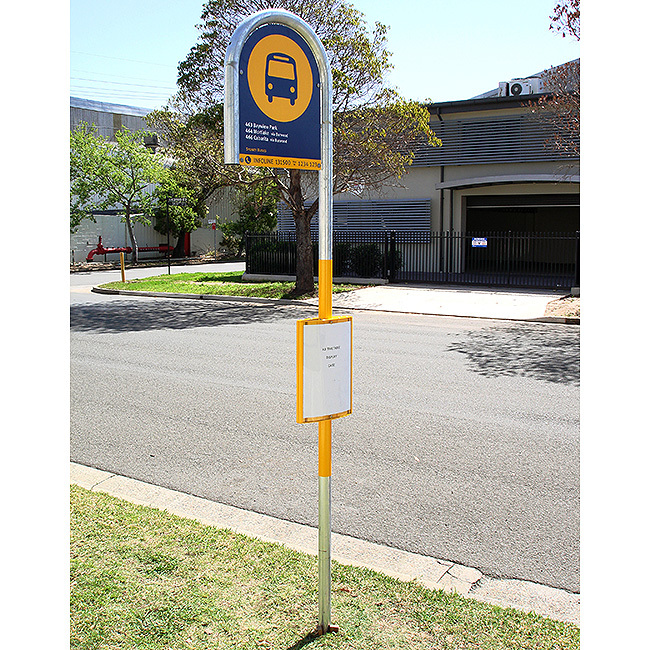 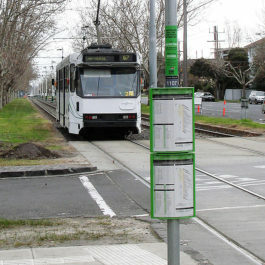 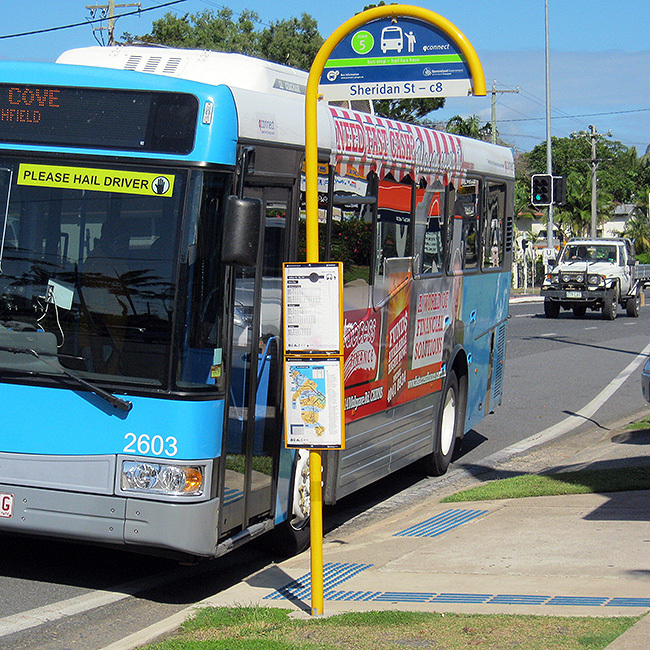 The Arrow Alpha J Pole Sign is a common and familiar form of bus stop identification used throughout Australia. 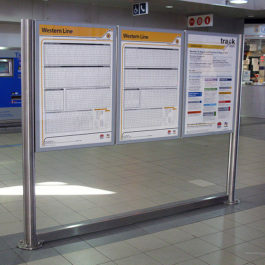 There are two standard sized bends available, to suit either a 450mm wide or 800mm wide J Pole sign panel. 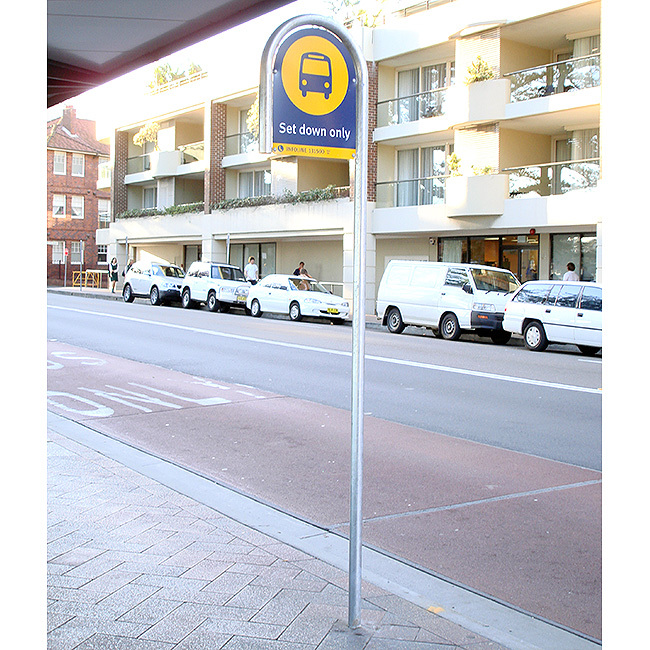 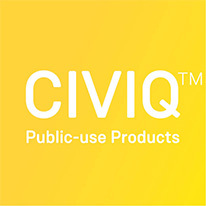 They are purpose built from high quality materials to cope with natures extremes and withstand vandal abuse.